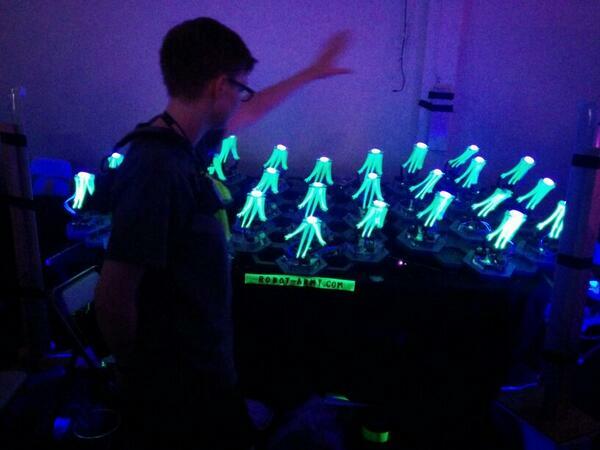 Robot army follows your every move. 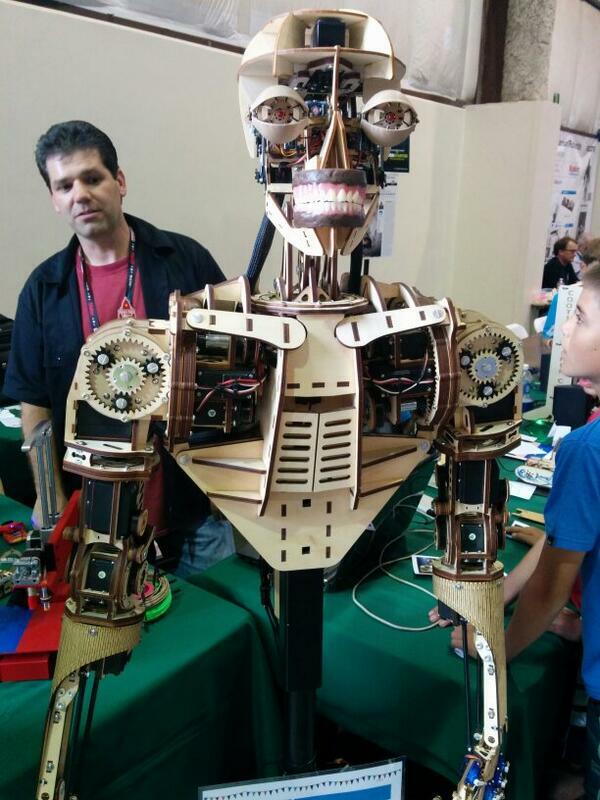 Arduino based. Kinect motion tracking. More photos below the fold. 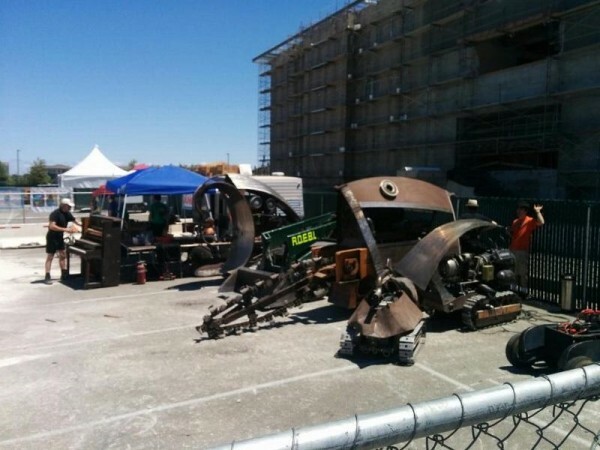 This entry was posted on Thursday, May 22nd, 2014 at 11:45 pm	and is filed under Maker Faire. You can follow any responses to this entry through the RSS 2.0 feed. You can skip to the end and leave a response. Pinging is currently not allowed.